Once again, the group is rounded up for a spectacular heist under the leadership of Danny Ocean (George Clooney). 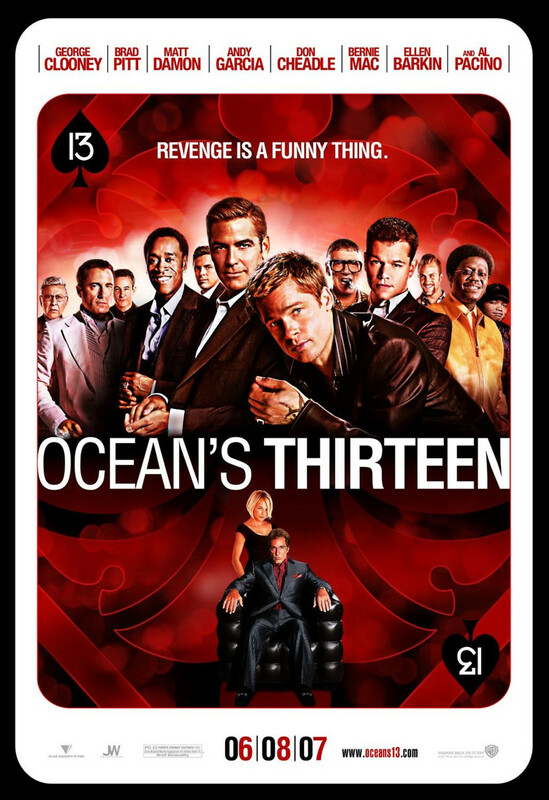 His target this time is a powerful casino owner who has crossed a team member of the Ocean's Eleven group. The team is set to offer revenge up for Reuben Tishkoff (Elliott Gould) who was crossed out of his business agreement with Willy Bank (Al Pacino). It is not enough that Bank conned Tishkoff out of his share of the casino they built together, but he finds the con job amusing. Needless to say, Ocean's group does not take kindly to the double-crossing of a friend, and they are seeking justice for Tishkoff.